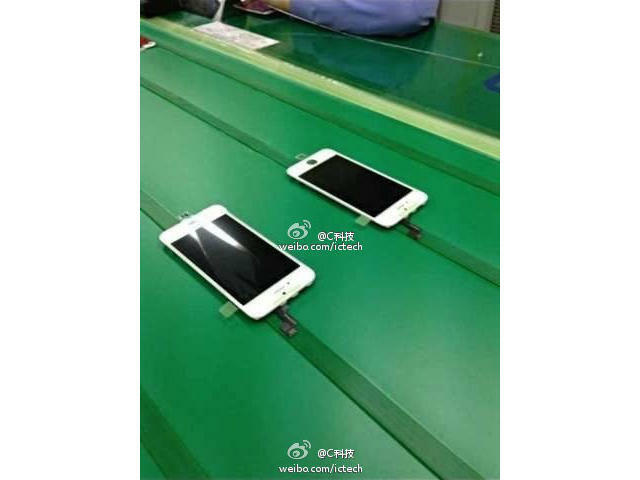 Is this the iPhone 5S on the display assembly line? We recently saw an alleged fully assembled iPhone 5S, which looks nearly identical to the iPhone 5 save for the dual-LED flash on the back of the phone. We’re not expecting huge cosmetic changes, and it’s hard to discern anything else from the leaked image above. The flex cable seems to be right, but the phone looks like it could simply be an iPhone 5 front panel cruising across the assembly line.That’s what G4Games, the site that spotted it on Sina Weibo claims. It looks somewhat legitimate, mainly because we can see the flex cable reaching out of the top of the screen, which is on a par with other leaked images of the iPhone 5S screen. One fishy detail, in regards to at least one of the leaks, is that the ambient light sensor appears to be in the same spot as it is on the iPhone 5. Other leaks show it on the top right-hand side of the phone, though those could have been early prototypes for all we know. If the iPhone 5S is expected to launch in September, as rumors suggest, then production should be underway by now. It’s for that reason alone that we think it’s only plausible the above image is legitimate.